The weather gods were not with us. It had been raining since early morning. By the time we were ready, it was almost 11:30 AM. We ventured out in the drizzle. Rupanjan, our host, had left to attend a group project discussion followed by a choir performance at an orphanage. His schedule, as a student living and studying in a foreign country, was very packed. 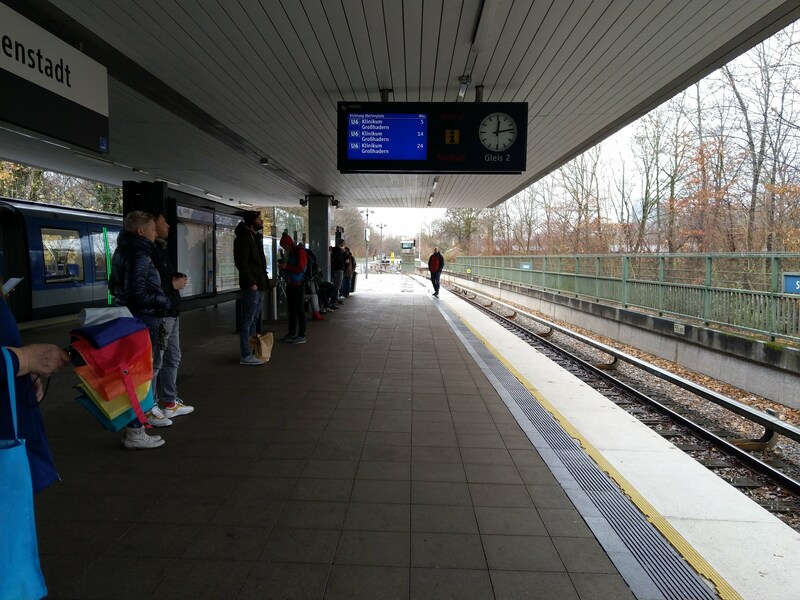 Overcast and drizzling at Studentenstadt U-Bahn station. Partho and I went to a museum that is not visited by the common tourist—Museum of Five Continents. On Sundays the entry price is only one Euro per person. There were many interesting exhibits there and kept both of us occupied for hours. For some of the exhibit rooms, the boards were bilingual (German and English), for some, there were laminated booklets in English, and for the rest, I had to use Google Translate to make good use of the info-boards. Partho was intrigued by this exhibit. On the left wall are four portraits of Queen Emma of Hawaii. The wall in front has five portraits that had only one portrait of the Queen. It’s like a puzzle that the viewer is supposed to figure out. 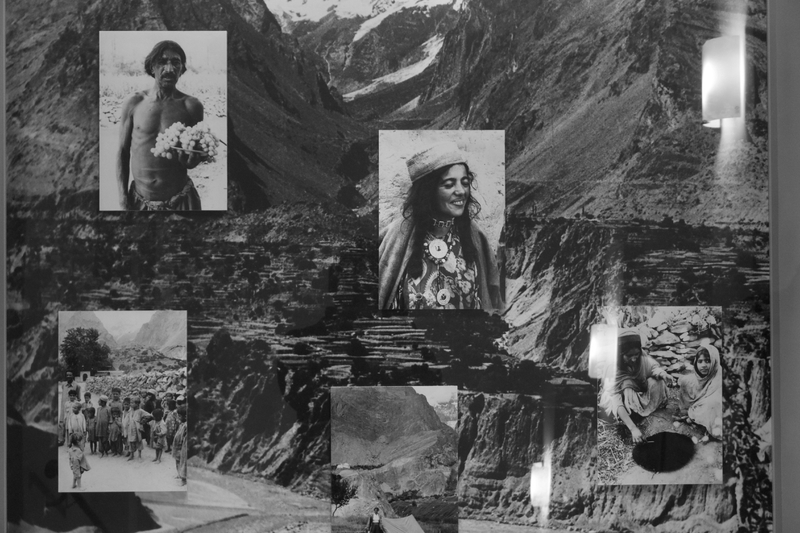 The other side of the staircase, there is an exhibit on the Hunza tribe. These are people who were thought to have known no diseases. 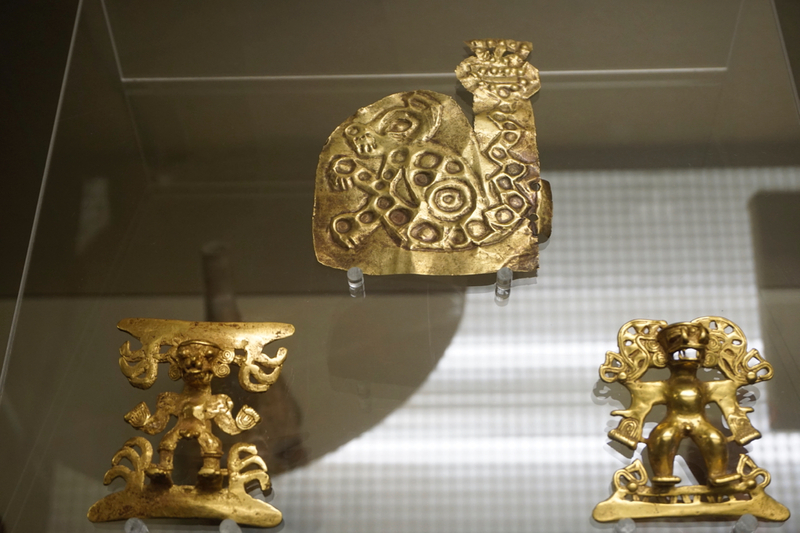 The South American exhibits had many golden artefacts. This is a fetish from the American Indians. 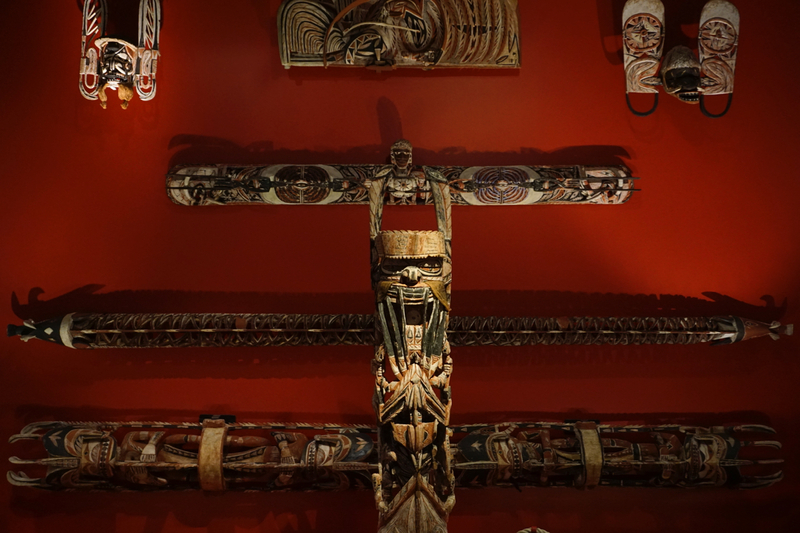 A set of artefacts from Polynesian tribes. 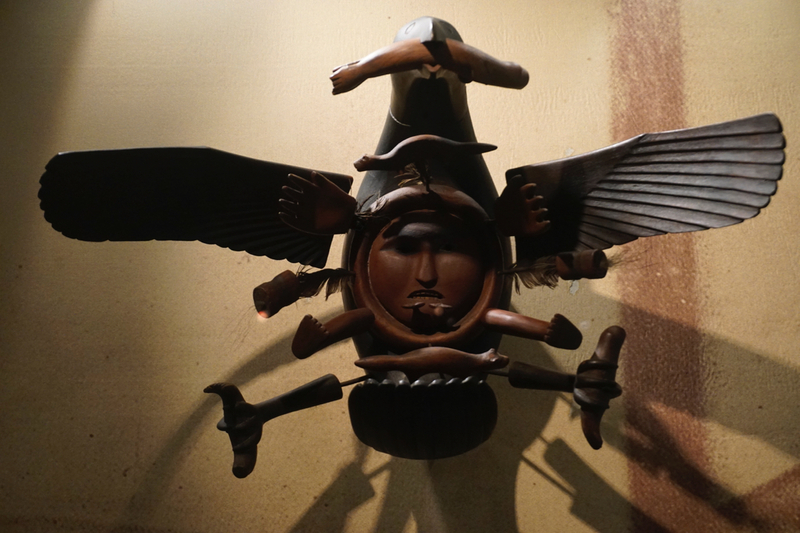 Partho mentioned that he had developed and interest in the Inca civilisation of late. 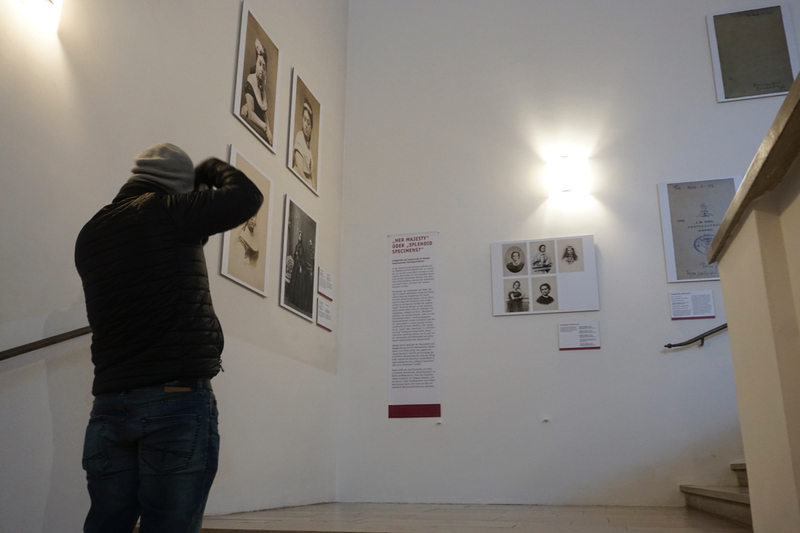 He was looking for Quipus which the museum did not have (at least on display). I was personally intrigued by the Myanmar exhibit spanning 12 rooms. The realms according to Myanmar’s buddhist traditions. 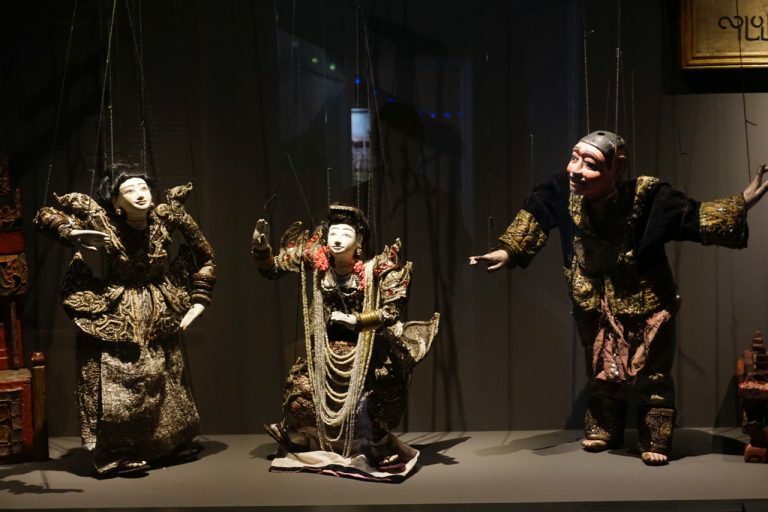 Marionettes of Burmese traditional puppet theatre. 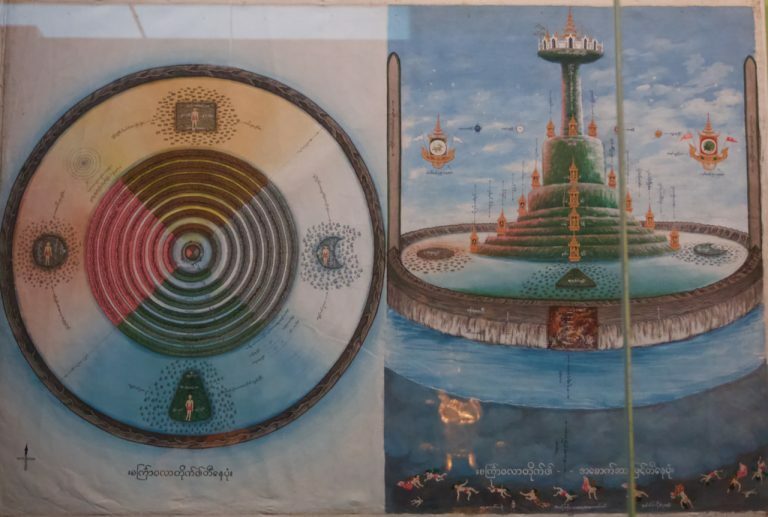 There was an exhibit by contemporary Burmese painters. 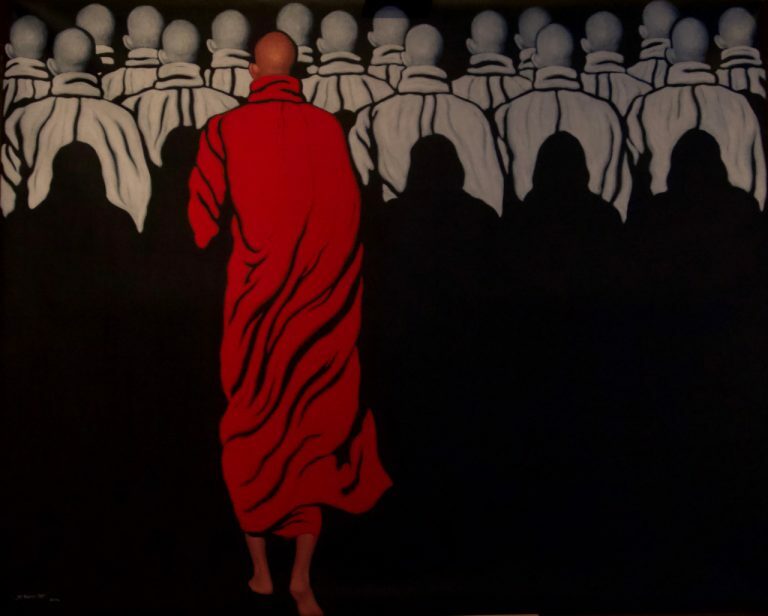 The country had an explosion in the art scene after the Junta rule was over. I really liked this painting. It’s called “Not Alone 5” by S Mode Z.
Partho made me drink the hot chocolate served at “max2”, a cafe bar inside the museum. I am not a big fan of hot chocolate but I must admit that I liked the drink. Later, we made our way towards Marienplatz. It was a really long walk. I really enjoyed the old buildings and the architecture. It is hard to believe that most were reconstructions and renovations since Munich was badly destroyed during WWII. 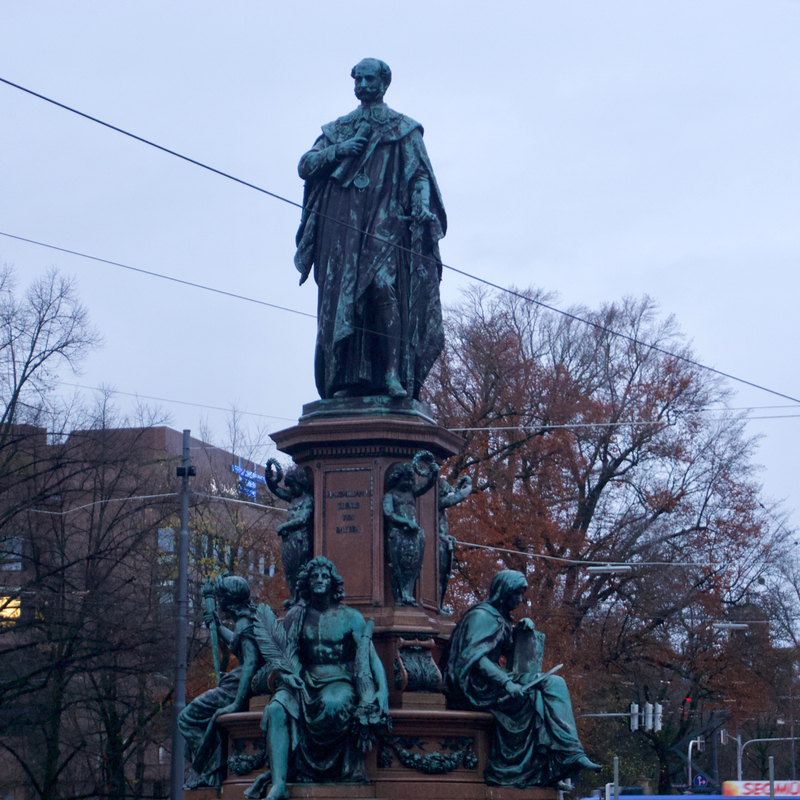 King Maximillian II of Bavaria at Maximilianstraße. 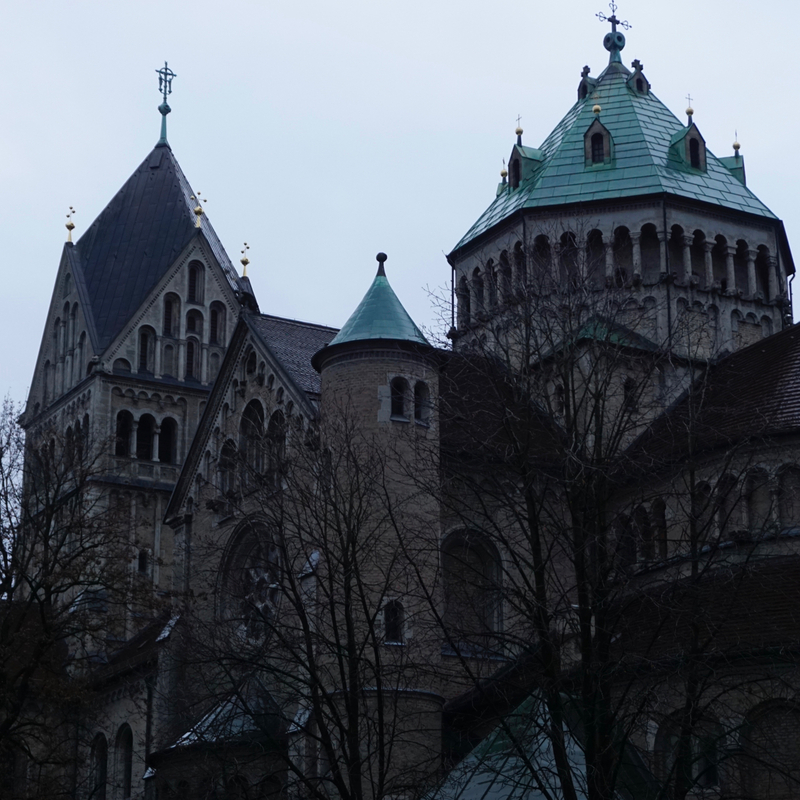 We walked past Kirche St. Anna. It was already getting dark. We even entered the Toy Museum and St. Peter’s Church. However, we decided to abandon our attempts as the former was about to close and the later did not have enough light inside to enjoy the sculptures and paintings. We would be visiting them tomorrow. Instead, we walked around the plaza. 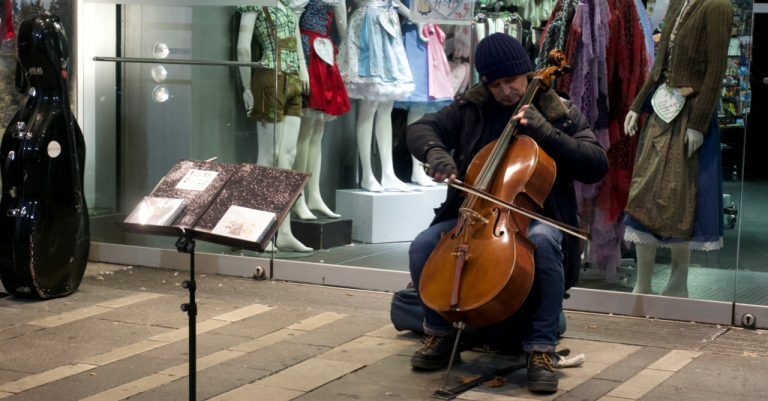 I was personally very intrigued by a cello player basking with a basic piano backing track. He had an excellent projection and intonation. We stood for his rendition of Despacito and Only Time. While returning, Partho bought some eggs and chicken for cooking at Rupanjan’s hostel. It was quite an elaborate thing for a hostel kitchen. 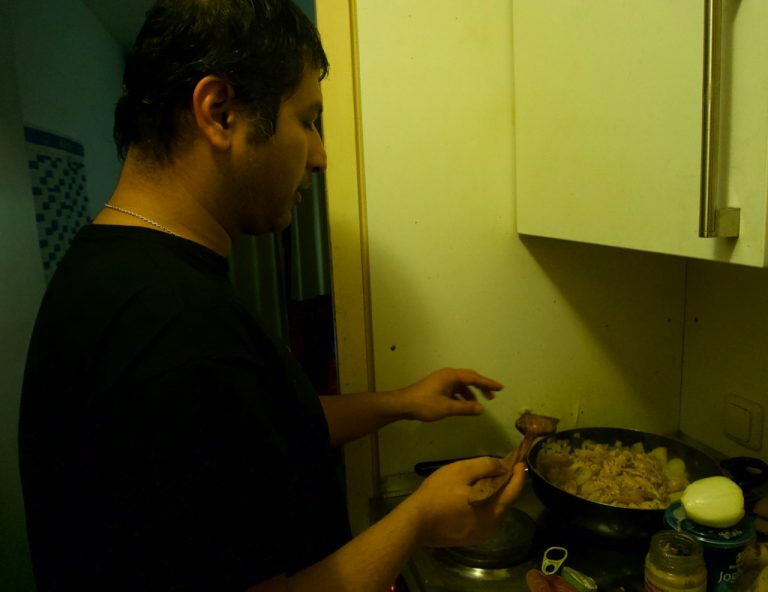 Partho cooking chicken for all of us. 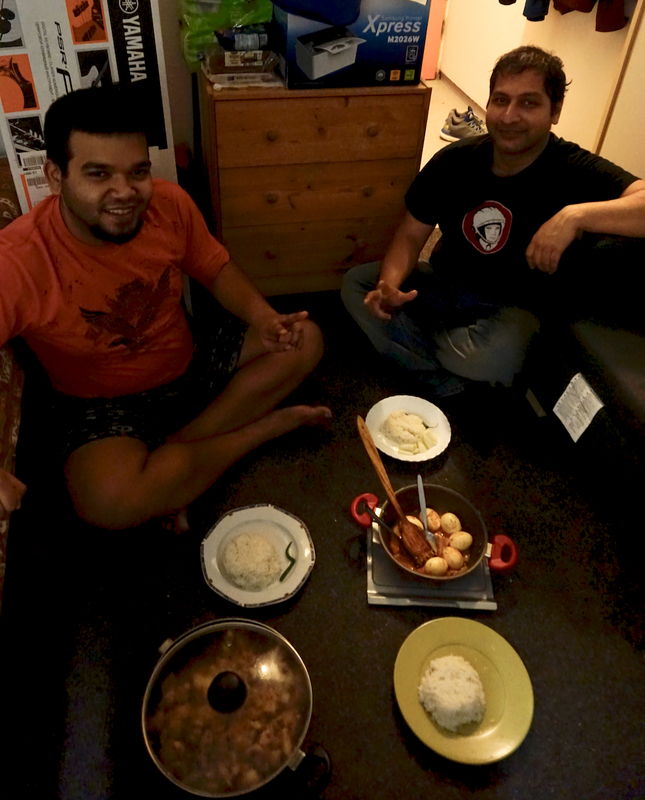 Partho cooked Darpa Chicken (no idea what it means) and Egg Curry for us.